Celebrated on the Tuesday following Thanksgiving, and the shopping events Black Friday and Cyber Monday, #GivingTuesday kicks off the charitable season, when many focus on their holiday and end-of-year giving. A donation to the Junior League of Birmingham makes a serious impact. Below are just a few examples of what your donation can do. Give back. 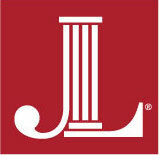 Donate to the Junior League of Birmingham. Remember to share that you gave on social media and encourage your family and friends to join you in giving back on #GivingTuesday. To donate now, visit the #GivingTuesday page. The Junior League of Birmingham will also be accepting donations of diapers, baby wipes, toothpaste, handheld detergent, hand sanitizer, and shampoo for the JLB Diaper Bank and JLB Essentials Pantry at JLB Headquarters (2212 20th Avenue South, Birmingham, Alabama 35223) on Tuesday, November 27 from 8 a.m. – 5 p.m. Please join us in supporting the Birmingham community during #GivingTuesday!